Product prices and availability are accurate as of 2019-04-20 05:51:28 EDT and are subject to change. Any price and availability information displayed on http://www.amazon.com/ at the time of purchase will apply to the purchase of this product. 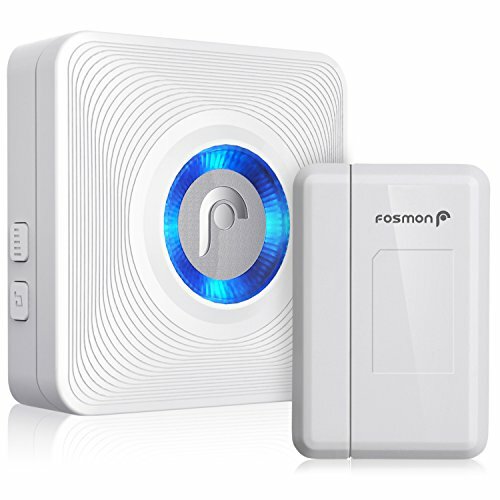 Never miss anyone at the door with a Fosmon WaveLink wireless door chime. The wireless and portable design allow you to install the wireless door entry alert in any section of your home, or business. The magnetic door and window sensor activates when separated. 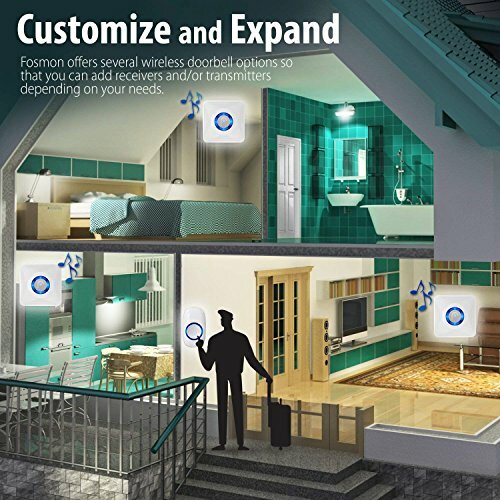 It transmits a signal to the receiver and alerts you with every time the door or window is opened. The receiver for your wireless door chime plugs into any standard outlet. Plug it in and pair your devices. Place your magnetic door sensors with the included double-sided tape and in seconds you are ready to use your WaveLink wireless system. 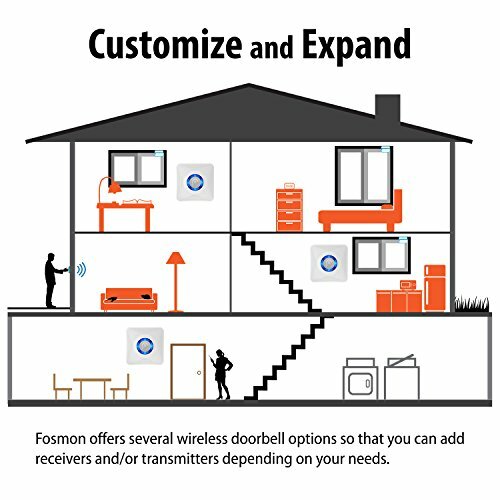 With 52 unique ringtones and 4 volume levels, you can personalize your wireless door entry alert to your preference. Set it as a pleasant doorbell chime, or as a loud door alarm. WaveLink wireless door alert features a LED indicator that creates a visual LED alert, allowing the hearing impaired to take advantage of the system. Each receiver can be paired to 10 transmitters, and vice versa. 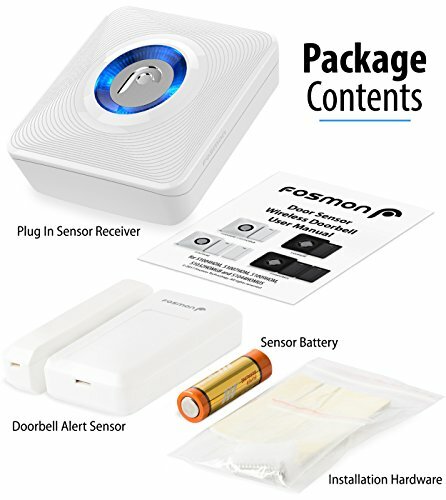 This Fosmon product comes with a limited lifetime warranty. 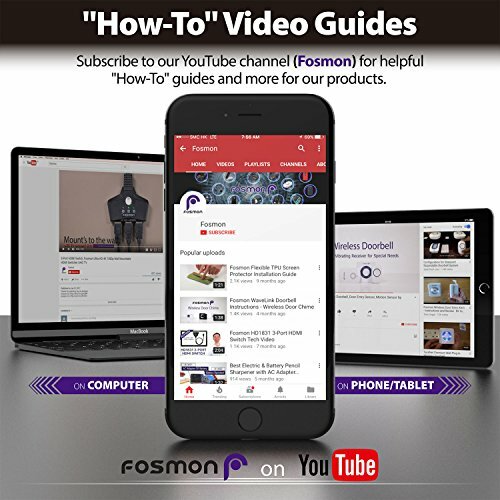 Please refer to Fosmon's website for more information. Maximum of 400 ft/ 120 m operating range. Each receiver can be paired with up to 10 transmitters. Each transmitter can be paired with up to 10 receivers. 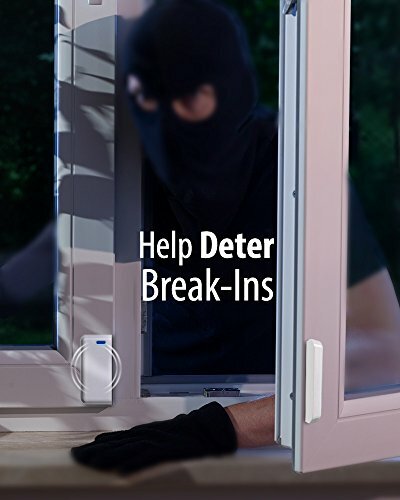 Magnetic door Window sensor alerts whenever the magnetic stripe is separated. Modern and contemporary design gives flexibility to install anywhere in your home, business space, retail stores, and more. Built-in LED indicators create visual alert for the hearing impaired. Easy to install with the accessories provided.